Looking Forward: Three Stories of Hope. So I want to share three stories with you about how God has given me hope over the past year. I pray they give you hope, and then you can pass it on to others. 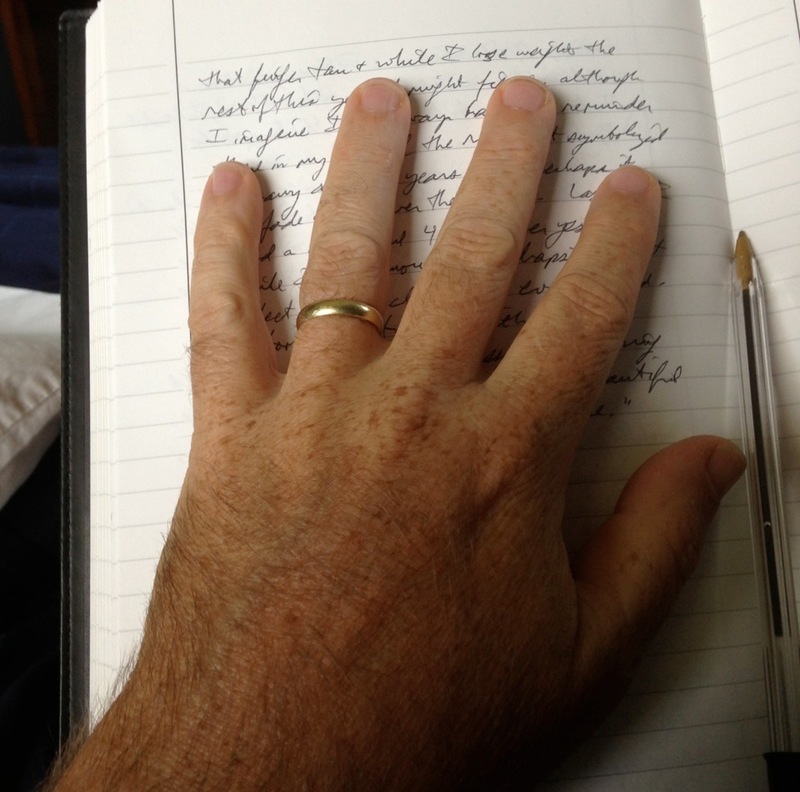 The three stories I’d like to share with you have to do with a ring, an apple and 3 emails. The first story is about a ring. Several years ago my wife, Lana, lost her wedding ring one day. She had already been up and going for awhile before she realized that her ring was missing from her finger. She never went without it, so she was surprised and disturbed that it was missing. So a few months ago I was sitting with a couple at our dining room table. At one point in the conversation, I looked down at my hand and noticed my ring was missing. I’ve always worn my wedding ring, too, and even though Lana passed away about eight months before this, I still wore my ring every day. I couldn’t bring myself to take it off. Even though I knew there might come a day when I would take it off, I couldn’t imagine ever wanting to take it off. And honestly, I was dreading that day. Then I remembered something. Earlier in the year, I had decided to start losing some weight. I’m a stress eater, so when I get stressed, I eat. By January of this year I had gained more weight than I had ever gained in my life. I knew that I needed to stay healthy, for myself and for my kids, and I wanted to start losing weight again, but I just didn’t have the fortitude to do it at the time. As the year went on, however, I decided to do it, and began losing weight, week by week. The night before I met with this couple, I was laying in bed and noticed that my ring was loose and could come right off and back on again. So I laid there in bed, spinning it around and taking it off and on, and must have fallen asleep with it off. And although I was dreading the day when I would have to take off my ring, having that little smile with Lana made me think: “Well, today’s as good a day as any. At least I can look back on it with fondness and a smile, rather than with sadness. So I’ll try and just leave it off.” So I left it off. I still felt naked for the rest of the day, and even today when I look down and see that it’s missing, I feel like part of me’s missing, too. But at least I can look down and think about it with a smile now, and with thankfulness for the time that I did have with Lana. The second story I want to tell you today has to do with an apple. I thought of that quote this spring as I looked at two pine trees in our yard, one of which I planted this past Christmas in honor of Lana, and the other which Lana and I planted 19 Christmases ago, almost 20 years now. The tree I recently planted is only about a foot tall, but the older tree is one of the largest in our yard. We had bought the tree from a nursery that winter and had brought it into our house for a few days at Christmas to decorate it and put presents underneath it. Then, after Christmas, we took it out to my dad’s farm and planted it, not knowing that one day we would eventually be living there ourselves. Over the years that tree has grown and grown, and now it’s one of the tallest that we have. For some reason, this has been an amazing year for fruit trees, and for all the trees that Lana and I planted with the kids over the years, this is the first time any of them has produced an significant amount of fruit. And not just one tree, but nearly all of them have started bearing fruit, even those we planted just a year or two ago, when normally they should take five or six or seven years before they produce any fruit. So this year we had apples from four different trees, cherries, peaches, and even two little plums on a new plum tree! All these trees started bearing fruit–just this year. And picking up an apple tree from Big R is hardly a big deal, but Lana’s investment in my life, and our six kids’ lives, and your lives and many other people’s lives, whether it was at home or in her writings or recordings or any of the number of things she invested in, those things are bearing fruit now in so many wonderful ways. I was preaching at a church last week and took an apple with me from one of the trees that Lana and I had planted. 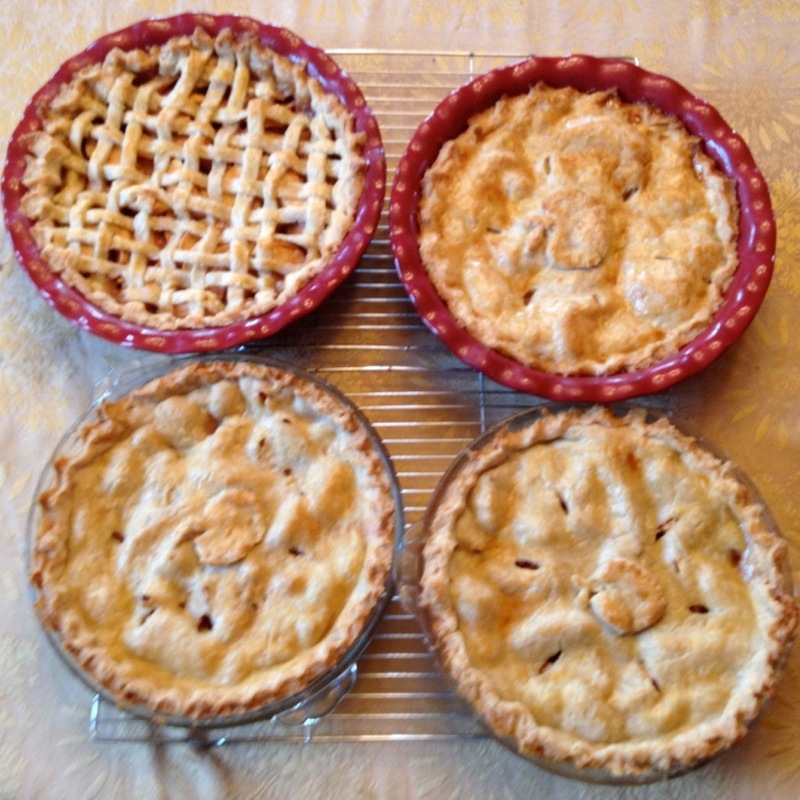 And because it was a smaller congregation of friends that we knew and loved, my kids and I baked some pies for them from the apples off the tree, so they could enjoy some of the fruit from Lana’s life as well. I had a friend who seemed to turn everything he touched into gold. He was a great businessman and a great supporter of missions. When people would say to him that everything he touched seemed to turn to gold, his response was, “No, but I do touch a lot of things. And when those things that do bear fruit come to fruition, they bear a lot of fruit.” Sometimes in order to bear a lot of fruit, we just need to plant a lot of seed. So I want to encourage you to keep planting. Keep watering. Don’t give up. One day, you will reap a harvest, if you do not give up. The third story I want to tell you today is based on three emails I received recently. If you’ve been reading along with me through this series, you’ll remember my story of a Jewish woman who emailed me three years ago after “accidentally” receiving one of our daily emails when a co-worker sent it to her by mistake instead of another co-worker. She started reading the stories about Jesus on our website, and began wondering if He really was the Messiah they’ve been waiting for for so long. She eventually put her faith in Christ and wrote to me back in May to tell me about her new-found faith (click here to read her story). Well, was I ever surprised when we hosted our “Night of Worship at The Ranch” a few weeks ago here in Illinois when she came up and introduced herself to me as we were gathering to get some food before the time of worship! Here she was, someone in “real life” who had been touched by something we posted on our website many years earlier, and which she had just discovered three years ago. As a result, she had a complete change of heart and complete change of life as well. I shouldn’t be surprised, because we hear regularly from people who say how important our messages are to them, but there’s something about meeting people in person who have been touched by what we’ve done that gives us an even greater glimpse of what God can do through our lives when we’re willing to live them for Him. In that same message (Reaping a Harvest), I also mentioned that some of the music that we’ve put on our website has begun to pay dividends in a big way, with a surprise royalty check that came a few weeks ago from Pandora. And the check came at a time when things were becoming tighter and tighter for us financially, as I haven’t been able to write or do the fundraising that I normally would have done in the time since Lana’s passing. And it came the same week I had finally finished putting all of our books and music on The Ranch website for free, so people could listen day or night without charge, from anywhere in the world. “So do not worry, saying, ‘What shall we eat?’ or ‘What shall we drink?’or ‘What shall we wear?’ For the pagans run after all these things, and your heavenly Father knows that you need them. But seek first His kingdom and His righteousness, and all these things will be given to you as well” (Matthew 6:31-33). 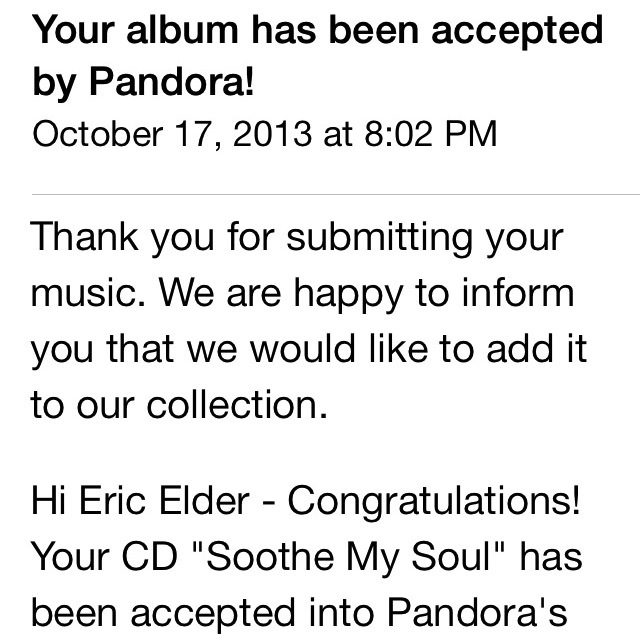 Well, to follow this up, I received another email from Pandora 10 days ago saying that they had accepted my most recent piano CD, “Soothe My Soul,” to play on their Internet radio stations! This was a huge breakthrough for us, as they’re actually only playing a dozen songs that we’ve produced over the years, which they accepted early on when they were just a small company. But in the years since, we’ve produced a dozen CD’s, and have submitted each one, but they’ve declined each one, saying they simply receive more music submissions than they can include in their catalog. But each year, we keep submitting our latest recordings, and each year, we keep getting rejected. But after 10 years of rejections, last week they accepted our most recent submission and will begin playing it online within the next few weeks! In case, I haven’t mentioned it enough today, let me say it again: keep planting! If I hadn’t already said ‘yes,’ and the services were to begin in just a few hours, I would have cancelled if I could have. I truly didn’t know yet what I was going to say, and I truly wondered why I was doing it at all… and I had already accepted several other preaching engagements for the following weeks at other churches as well. I thought I was ready when I said ‘yes,’ but now I wondered how I could ever do it again. “If you only look at us, you might well miss the brightness. We carry this precious Message around in the unadorned clay pots of our ordinary lives. That’s to prevent anyone from confusing God’s incomparable power with us. As it is, there’s not much chance of that. You know for yourselves that we’re not much to look at. We’ve been surrounded and battered by troubles, but we’re not demoralized; we’re not sure what to do, but we know that God knows what to do; we’ve been spiritually terrorized, but God hasn’t left our side; we’ve been thrown down, but we haven’t broken. What they did to Jesus, they do to us – trial and torture, mockery and murder; what Jesus did among them, He does in us – He lives! Our lives are at constant risk for Jesus’ sake, which makes Jesus’ life all the more evident in us. While we’re going through the worst, you’re getting in on the best! “So we’re not giving up. How could we! Even though on the outside it often looks like things are falling apart on us, on the inside, where God is making new life, not a day goes by without his unfolding grace. These hard times are small potatoes compared to the coming good times, the lavish celebration prepared for us. There’s far more here than meets the eye. The things we see now are here today, gone tomorrow. But the things we can’t see now will last forever” (2 Corinthians 4:5-18, MSG). Can I just encourage you not to give up. Keep planting. Keep reaching out. If you need time out, take time out, but then get back up and go at it again. With God there’s always hope. He’s given it to me this year, and I hope I’ve given a little bit to you.